She is an ancient primal force of nature, exalted by some and feared by others. Those who heed her capricious whims are rewarded. Those who displease her, however, are slaughtered like the animals she considers them to be. 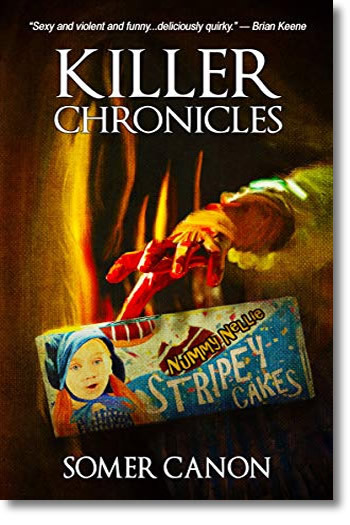 Christina Cunningham runs the website Killer Chronicles, a popular online database of the worst crimes of humanity. Lured to the town of Micksburg, West Virginia by a series of bizarrely gruesome deaths, she hopes that it will be the story that launches her site to the next level. When she discovers what is behind the murders, her ambition and her survival instinct collide as she matches wits with the strange and inhuman being. Is her life or the lives of her loved ones worth the story? Copyright © 2018 Somer Canon - All Rights Reserved.